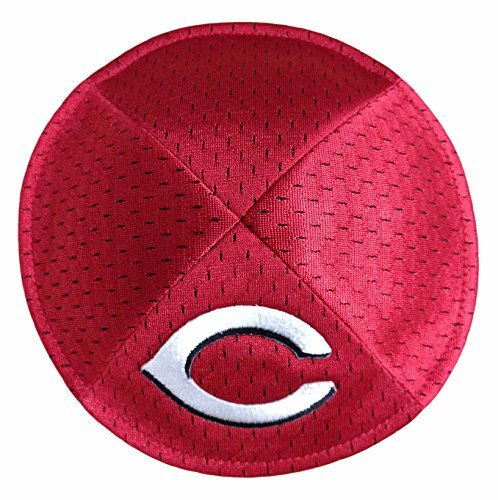 Head out to the Great American ballpark in style with our official MLB licensed Cincinnati Reds team logo pro-kippah. Each Cincinnati Reds yarmulke is finely crafted with a beautifully embroidered Cincinnati Reds logo along with authentic team colors. The Cincinnati Reds Yakama features a patented, built-in clipping system for a superior fit and comfort. Show how much of a true fan you really are in the Cincinnati Reds official MLB licensed Cincinnati Reds pro-kippah. If you have any questions about this product by Emblem Source, contact us by completing and submitting the form below. If you are looking for a specif part number, please include it with your message.